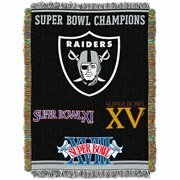 Show some team spirit with one of our Commemorative woven tapestries. These heirloom quality throws are a tribute to craftsmanship. Throughout history, tapestries have commemorated special events. 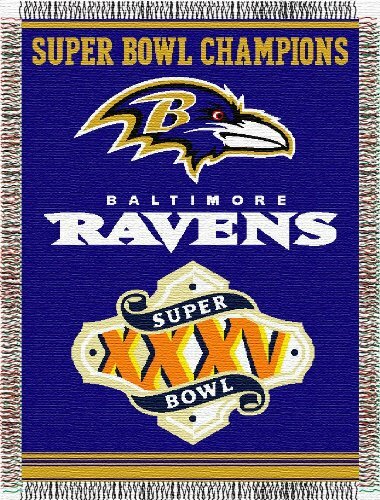 Now you can own a tapestry celebrating your favorite team's championship wins. Each victory year is listed in bold detail for all to see. Use it as a room accent, bed covering, throw blanket or wall-hanging. This loom woven triple layer tapestry throw blanket is fringed on all 4 sides. Use it as a room accent, bed covering, throw blanket or wall hanging. They are easy to care for, and are machine washable and dryable. This blanket is made of 100% acrylic, and is 48"x60" in size. Show some team spirit with this Steelers NFL 48" X 60" Commemorative Series Tapestry Throw. These heirloom-quality blankets are a tribute to craftsmanship. With a high degree of quality woven into each stitch, they help to celebrate U.S. history. Now you can own a sports tapestry celebrating your favorite team's championship wins. As a conversation piece, it makes an excellent focal point on a couch during the big game. Each victory year is listed in bold detail on the woven tapestry for all to see. You can use it as a room accent, a bed covering, a throw blanket or even a wall hanging. The official NFL "vintage Series" tapestry throw by the Northwest is a retro tribute celebrating your favorite football team. 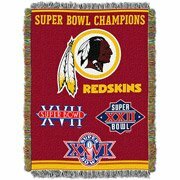 This fringed tapestry is highly detailed and reminiscent of your favorite football teams' long history with a vintage version of the team's logo. 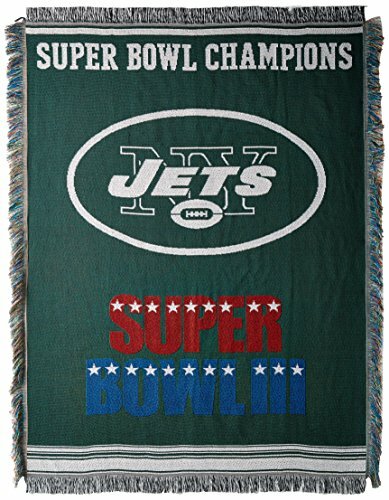 Use our official NFL tapestry throw to keep warm under while watching your team play, or even use it as a picnic blanket in the Park. This vintage 48"x 60" throw is both eye-catching and versatile enough to be framed to use as a wall hanging for home decor. Machine washable. Made in America. 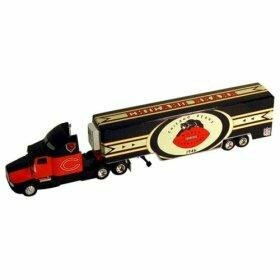 Celebrate the Chicago Bears victories past and present with this 1:64 scale throwback diecast Kenworth transporter! The transporter is full 1:64 scale and features vibrant team colors complete with throwback logo and 1946 World Champions banner. This is a striking collectible that will make a great addition to any fan's existing collection or a great way to start a new collection. Also makes a great commemorative gift for the Bears fan in your family! 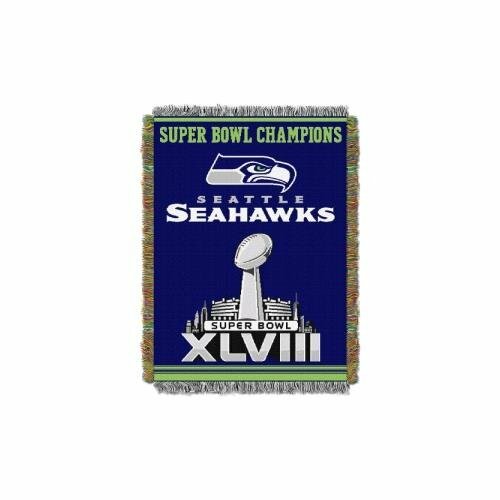 Show some team spirit with one of our Official NFL Commemorative Woven Tapestries by The Northwest Company. These heirloom quality throws are a tribute to American craftsmanship. Throughout history, tapestries have commemorated special events. 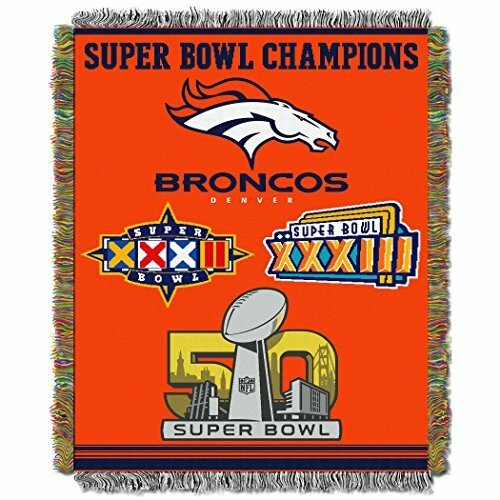 Now you can own a tapestry celebrating your favorite team's championship wins. Each victory year is listed in bold detail for all to see. Use it as a room accent, bed covering, throw blanket or wall-hanging. Tapestries are approx. 48"x 60" with fringes on all sides. 100% Polyester. MADE IN AMERICA. This loom woven triple layer tapestry throw blanket is fringed on all 4 sides. 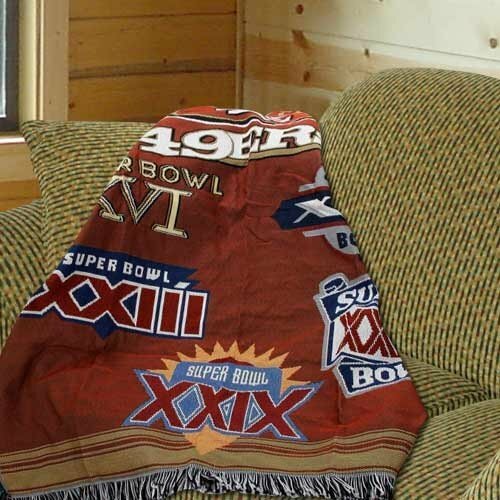 This blanket can be used at the game; on a picnic; in the bedroom; or cuddle under it in the den while watching the game. Use it as a room accent; bed covering; throw blanket or wall hanging. They are easy to care for; and are machine washable and dryable. This blanket is made of 100% acrylic. Actual item will vary from image. Looking for more Nfl Commemorative Series Throw similar ideas? Try to explore these searches: Hidden Towing Hitch, About Piano Music Book, and Indoor Icicle Lights. Look at latest related video about Nfl Commemorative Series Throw. Shopwizion.com is the smartest way for online shopping: compare prices of leading online shops for best deals around the web. Don't miss TOP Nfl Commemorative Series Throw deals, updated daily.